The business of religion, to use that unfortunate turn of phrase, is to change the world. The theo-political implication of radical democracy is that we cannot wait for a God to save us. If democracy indeed is the political instantiation of the death of God, then this is a task that is ours alone. The following interview was conducted by Alan Jay Richard, Ph.D. of Realistic Living. Part 1 of the interview can be accessed here. AJR: You characterize the post-secular as a product of secularization (itself a religious process) and as a rejection of secularism. Religious authority appears once more in the public square, but this time it is “one of many” voices and not the sovereign voice it was prior to secularization. Your description of this post-secular condition reminds me very much of H. Richard Niebuhr’s concept of radical monotheism. For Niebuhr, as you recall, monotheism is not about a sovereign, transcendent being that supports or legitimizes the political order. This transcendental sovereignty belongs rather to henotheism, which Niebuhr associates very closely with nationalism and indeed with fascism. Radical monotheism, on the other hand, is Niebuhr’s name for the ongoing secularization of every determinate center of value, whether or not it claims to be religious. And far from leading to a world in which there are no determinate centers of value, a void of some kind, it leads to a world in which multiple centers of value coexist and are mortal. How does the post-secular political situation in which authorities all appear as “one of many” resemble and depart from Niebuhr’s radical monotheism? JWR: To be honest, I had not thought of this connection with Niebuhr, largely because I had not considered him as a thinker of the secular, let alone the post-secular. But you are absolutely correct. And not only by his concept of radical monotheism, but also in his early study of Christian denominationalism. Niebuhr was one of the first to depart from a purely theological study of different confessional communities. By placing the theological differences within a historical, sociological and ethical context he accomplished something akin to Tocqueville’s groundbreaking study of democracy, not simply as a political form, but as a cultural form and a social revolution. I might even go so far as to say that Niebuhr provides the theo-political supplement to Tocqueville’s Democracy in America. So when John Stuart Mill touts Tocqueville’s Democracy in America as “the first philosophical book ever written on democracy as it manifests itself in modern society,” we might say that Niebuhr is the theologian of modern democracy par excellence. Where I would depart from Niebuhr, which is not to say that I would disagree with him, is on the point of this shift from the secular to the post-secular. While Niebuhr himself was no apostle of secularism, he was a product of the secular age, which is to say, he was fully immersed in the American Protestant world. I have been persuaded by Talal Asad and others that the secular is a Christian—or more specifically, a Protestant—concept with ideological overtones and power dynamics about which we must be especially sensitive. When Niebuhr wrote on the problem of denominationalism, his concern was with the ethical failure of the divided church. And while you are correct that his concept of radical monotheism, insistent as it was on the distinction between the absolute and the relative not unlike his contemporary Paul Tillich, effectively deconstructed all centers of value, he lived precisely during the time when the United States emerged as the center of world power. Less so even than his brother Reinhold Niebuhr, he was never really forced to grapple with that dimension of political power. As a consequence, his work is missing the elements of the tragic and the ironic. To draw on some sociology here, befitting a discussion of Niebuhr, his work reflects the spirit of what has been termed “Protestant Republicanism” which was so prevalent in all aspects of American life up through the middle of the twentieth century. Will Herberg’s monumental sociological study of American religious life, Protestant-Catholic-Jew, was only originally published in 1955. The book was greeted by many, including Richard’s brother Reinhold, as a major advance beyond the cultural assimilationist model of the melting pot, and thus displacing many of the normative assumptions of Protestant America. All of which is to say H. Richard Niebuhr’s work remains a rich and important resource. He grappled with the question of diversity in a fundamental way long before there was any notion of multiculturalism. But just as I’ve argued that the shift from the modern to the postmodern marks a shift from the secular to the post-secular, so too must Niebuhr’s work be resituated; we might even say radicalized. The problem of denominationalism must be extended to the problem of religious diversity. The concept of radical monotheism suddenly becomes even more interesting and complicated when we include the tetragrammaton—the Jewish conception of a God whose name we dare not speak—and the Muslim conception of tawhid—a oneness that gets expressed in terms of unity. 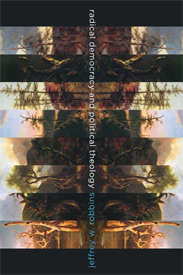 AJR: In the penultimate chapter of your book, you propose that “a specifically disestablished and thus secularized theology” is crucial to the political project that Hardt and Negri say the multitude requires “to bring it into existence.” If I’m reading you correctly, this theology seems to imply a divinity that is both immanent and irreducibly multiple, not unlike the religious milieu that scholars of religion have associated with the religions of India or of Hellenistic antiquity. You cite Toqueville’s aristocratic concerns that democracy might lead to pantheism. Of course, it’s also the case that, both in India and in Hellenistic antiquity, this form of religiosity has coexisted with a quite undemocratic form of politics. In your view, how does a radically democratic theological perspective draw from and differ from these prior forms of religiosity and their theological articulations? JWR: What I am interested here is not how a theology bequeaths a politics, but the reverse. This is why I describe my project as a dialectical reversal of Carl Schmitt. I must confess, and please pardon the cliché, but this realization was a paradigm shift for me. Of course, everyone is familiar with Tocqueville’s observations about the irony of religion in America: that by disestablishing religion, religion thrives in American society. The invisible hand of the market makes and keeps religious life responsive and vital. The flip side is that it also is the breeding ground for religious charlatans. Additionally, as I detail in my book, while religious belief and identification remain high, its impact might very well be negligible because in many ways it is more a reflecting than a directing force of social and cultural powers. Someone like Alan Wolfe, the contemporary scholar of religion in American life, would argue that this is the genius of the American system. That is to say, democratic culture inevitably has a moderating influence on individuals and communities of faith. By granting religion its autonomy, it is at once simultaneously politically empowered and defused by its very own proliferation and diffusion. The result, as Wolfe describes it, is that the vast majority of Americans prefer a “quiet faith” and a morality “writ small.” I realize that this seems to fly in the face of what we hear and see on the media airwaves, and more and more from our elected officials, but I do believe our history bears it out. But this is simply to repeat the Tocqueville everyone already knows. The aspect of his analysis which is not as obvious, or at least not as widely discussed, concerns the fact that he describes his experience of observing and analyzing the democratic revolution in the United States as an occasion of “religious terror.” What, after all, was so terrifying for Tocqueville? In a nutshell, Tocqueville recognized democracy as the political instantiation of the death of God. Admittedly, this is a realization from which he recoiled. Nevertheless, it is a realization that must be attended to. In fact, I regard this as the central claim in my book as a whole. I arrived at this claim thanks to a fortuitous phrase from Sheldon Wolin, upon whom I rely a great deal in my reading of Tocqueville. Wolin writes that for Tocqueville, the democratic revolution he observed in the U.S. represented a “fundamental shift in the order of divine dispensation.” As a result of this, Tocqueville described his efforts as a “struggle against God.” As for the grounds of this struggle, he wrote, “What seems to me decadence is thus in His eyes an advance; what wounds me is agreeable to Him.” Part of this, of course, was simply Tocqueville coming to terms with the loss of his presumed natural privileges as an aristocrat, the passing away of the ancien régime. But more fundamentally, I argue, it is about Tocqueville’s recognition of the change democracy wrought for the conception of sovereign power, and consequently, its theo-political implications. If democratic power is a diffused power, then this leaves us with a form of sovereignty not so much that has been transferred from God to humanity in a simple one-way transaction, but rather where the nature of sovereignty itself has been transformed. In short, it leaves us with the terrifying prospect of a politics without sovereignty, a society bereft of any conscious directing will. Modern democracy, in other words, represents a diffused, unlocatable, and anonymous form of power. Therefore, Tocqueville’s quarrel with God over democracy can be seen as his efforts not simply to salvage his own privileged station but actually to save God from God’s own apparently willed annihilation. My contention is that this realization is crucial to the project of radical democracy for two reasons primarily. First, it puts a lie to the explicitly anti-democratic political theology concocted by Schmitt. For Schmitt, political theology and democracy represent two equally potent, but opposing, political strategies to combat the seemingly irresistible force of the technocratic state. What I am offering, by contrast, is a way of thinking of political theology and democracy in concert with one another. In other words, political theology and democracy are not mutually exclusive; rather a theo-political analysis helps to clarify the particular nature of power as conceived in and by democratic institutions and practices. 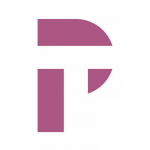 Second, a key component in the radical democratic project is to move beyond modern liberalism. For Hardt and Negri, this means replacing the notion of popular sovereignty, which still operates according to the theo-political rule of the one, with a notion of the multitude, which they speak of in terms of a decentralized, multitudinous network power. But contemporary scholars of religion come in when it concerns the connection between modern liberalism and secularism. In order to rethink the conceptual basis of democracy, it is not enough to replace the notion of the people with the notion of the multitude, we must also oppose the strict opposition between the religious and the secular. Put simply, in order to move beyond liberalism, it is necessary to go beyond liberal secularism. It is in this way that my theo-political reconsideration of the proper relationship between religion and politics might help to complete the radical democratic efforts at rethinking the conceptual basis of democracy itself. AJR: Chapter six presents the reader with a remarkable argument for the religious and theological context of American democracy, starting with the First Great Awakening’s challenge to ecclesiastical authority, its power to mobilize people into activist communities, and continuing throughout American history, with its proliferation of sects and its religious pluralism. As you acknowledge, however, this has not necessarily resulted in a proliferation of pluralist or tolerant theologies. In fact, the democratization of religious authority does away not only with the privileges of state-supported religious authority but also with the authority of education and learning. The religious revivals that the United States has experienced have empowered strategies of fundamentalist exclusion rather than pluralistic inclusion. The power of the Christian right owes much to this democratization of religious authority, when southern preachers whose lack of credentials or denominational backing at home followed the southern emigration to California to supply a demand for “old time religion” on the part of transplants who cared more about the emotional power of the preaching than about educational or other credentials. Given this history, what reasons do we have for hoping that a greater democratization of religious authority, a greater separation of such authority from any sort of institutional legitimation, whether educational, ecclesiastical, or political, will lead to a more democratic political governance rather than to a battle of fundamentalisms and a theocracy determined by the winners in that battle? JWR: Yes, this is the great risk and worry. My only bone of contention is with how you pose this final question. This certainly is not a case of either/or. History gives us reasons to hope at the same time as it gives us cause for grave concern. What is more interesting and insightful is where Prothero places the cause of our religious ignorance. Contrary to what the culture wars would have us believe, Americans have not become religiously illiterate as a result of some sort of widespread secular hostility towards religion. Our religious ignorance is not the result of the U.S. Supreme Court banning of prayer and devotional Bible readings in public schools. As Prothero puts it, “The evildoers were not, as one might expect, diabolical secularists conspiring to banish religion from the public square.” Instead, the problem of religious ignorance predates these cultural landmarks by well over a century. As Prothero chronicles it, the problem of religious ignorance is the result of the battle within 19th century Protestant churches between piety and learning. Essentially, the problem begins with the Second Great Awakening at the time when Evangelicalism supplants Puritanism as the dominant religion in the U.S. With the evangelical emphasis on an experiential religion, religious faith and religious knowledge came to be thought of as separate and distinct to the point that in some cases religious ignorance actually became a badge of honor as a sign of genuine piety. My point, then, in talking about the democratization of religious authority is decidedly not that it guarantees greater democratic political governance. Instead, I am invoking a history in order to identify a latent political potential. When religious authority was democratized during the First Great Awakening, to repeat an earlier formulation, this transformed the order of divine dispensation. Whether this was a harbinger or cause of the democratic revolution that followed is probably impossible to determine. That said, following the line of argument made by the radical pamphleteer Thomas Paine, it is important to add that without that democratization of religious authority, any democratic revolution is incomplete. Which leaves us with the following: the democratization of religious authority is a necessary, but insufficient, condition of possibility for democratic governance. What has become abundantly evident is that religion is here to stay. Those who identify with the progressive left, those who believe that the answer to what ails us is more, not less, democracy will advance their cause not by wishing religion away or ignoring the theo-political implications of current situation, but only by addressing it square on. With that in mind, let me conclude by saying that there is much theoretical and practical work to be done. On the theoretical front, some of the most creative and important work is being done by adding yet another layer of analysis to the theo-political. Thinkers such as Connolly and Philip Goodchild are providing a fundamental theological analysis of our economic life, about the very nature of money, and the tragic conjunction of capitalism and evangelicalism. Their work can be fruitfully read together with the work of someone like Olivier Roy who is interested more broadly in the relationship between religion, culture and globalization, but who nevertheless shows how the culture of late capitalism functions as a breeding ground for neo-fundamentalist faiths. Roy makes clear that this is not only a phenomenon within American Protestantism, but a global phenomenon impacting Islam, Judaism, and Hinduism as well. And on the practical front, let me return to the observations about democratic citizenship as offered by Tocqueville. He noted with great appreciation how religious life, as well as civic participation more generally, functioned as a training ground for democratic political citizenship. It is by living in community with others, learning the need to negotiate and compromise, and taking ownership of a group or organization’s success or failure, that individuals are made into citizens. Extrapolating from these early observations of democratic culture, we might say that what is urgently needed now is not the elimination of religious institutions or religious authority. Instead, there is the need to think institutions and authority otherwise—more horizontally, more democratically. For while it might be the case that Evangelical Protestantism began with a democratization of religious authority, it has become a form of entrenched power that not only fits seamlessly with the culture of late capitalism, but in many important ways also provides the religious sanction for it. When religion becomes undifferentiated from any other commodity, perhaps the most radical proposal of all would be one that challenges the sovereignty of the religious consumer. Jeffrey W. Robbins, Ph.D, is a continental philosopher of religion who currently serves as Associate Professor of Religion at Lebanon Valley College in Annville, Pennsylvania. He has authored three books and edited two that address the relationship between recent developments in continental philosophy. As Associate Editor of the Journal of Cultural and Religious Theory, he helped demonstrate that a serious, high-quality academic journal for research in religion could be offered online free of charge. With Clayton Crockett, he is co-editor of the book series “Insurrections: Critical Studies in Religion, Politics, and Culture” for Columbia University Press. Alan Jay Richard, Ph.D. does research, writing, and training for Realistic Living, a nonprofit organization seeking to foster new forms of communal religious practice that challenge exclusivist, supercessionist, dogmatic, imperialist, and patriarchal elements in Christianity while re-connecting participants to crucial insights and experiences harbored within the Christian tradition. He is also a public health researcher and practitioner whose work has appeared in a broad range of scientific journals in the areas of psychology, sociology, public health, and economics.